Passing by Haw Par Villa countless times, I have noticed HooHa! 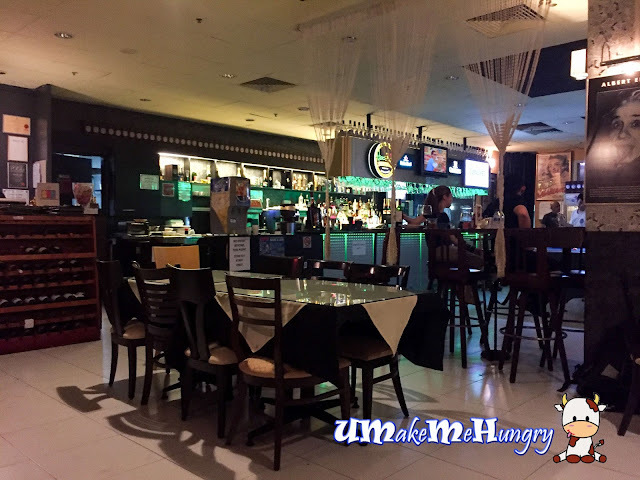 Cafe but have never been inside as I have never heard of anything special among the stretch of restaurants at West Coast Highway except for its neighbouring authentic Korean Cuisine. As I entered the Cafe, it was more than I could ever imagine. It does not have the vibe of modern cafe with fanciful decorations, instead I find that this place was rather more towards the decent old school cafe / pub with live band, pool table and bar counter. Besides the normal table and chairs, they do have high stools and bar counter too. 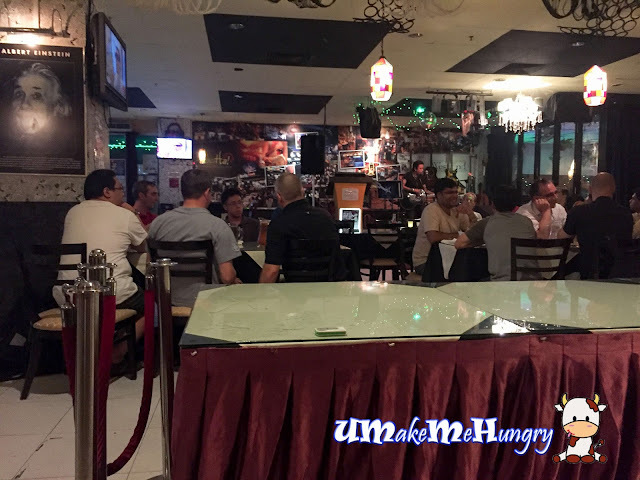 My night was rather entertaining with live band around and of course playing similar music. 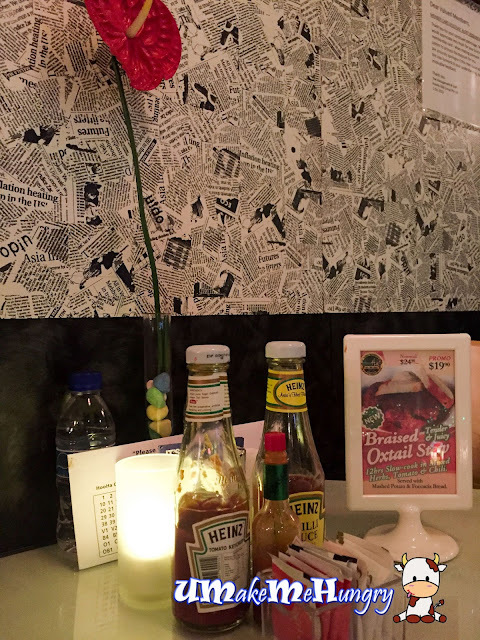 Ambiance was relatively there under the warm lighting and walls was beautify by faux newspapers at the upper tone and black at its lower tone. Starting off with our dinner, we had the cream of mushroom soup lending good bites with the chunky mushrooms. 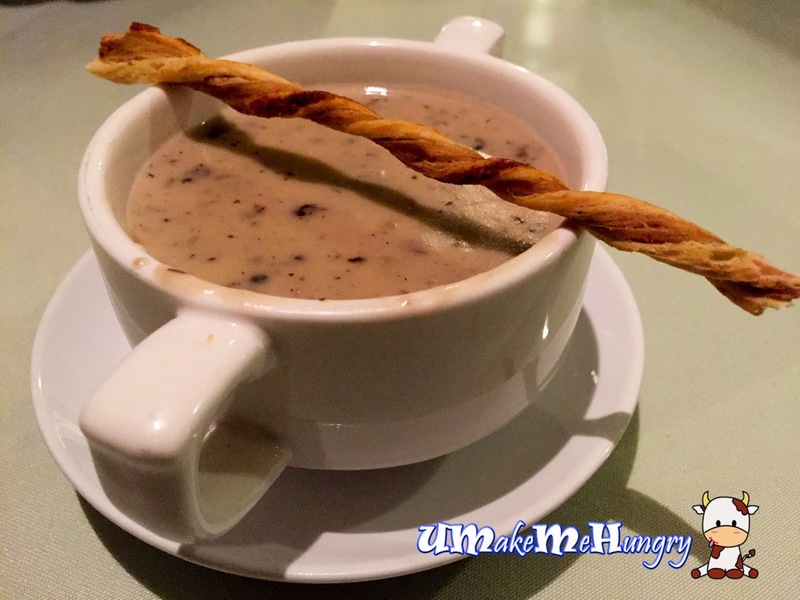 It did not go plain and instead a breadstick with elegant swirls were given to pair with the soup. Looking at the price of the milkshake, I hesitated to try them out as it was on the expensive side in my opinion. 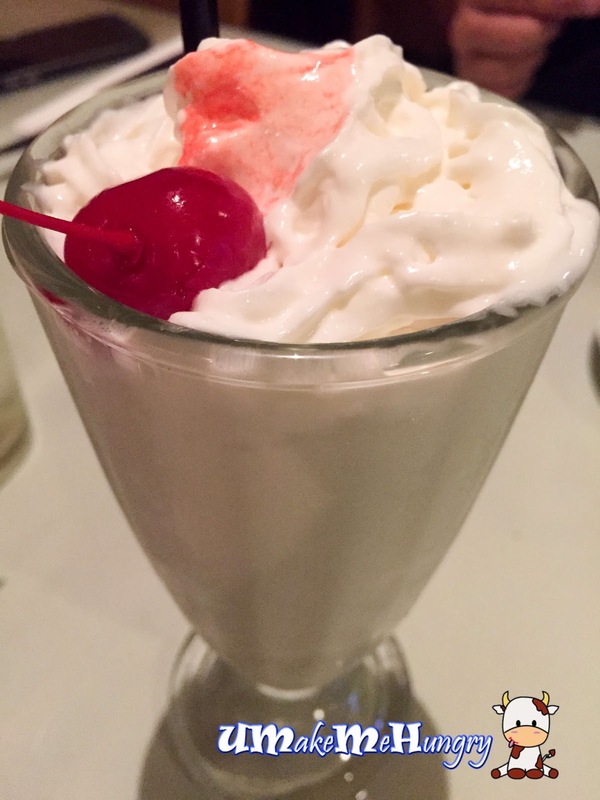 Fortunately, the choice was not a bad one as it tasted better than I had expected with vanilla fragrance, cherry and whipped cream. 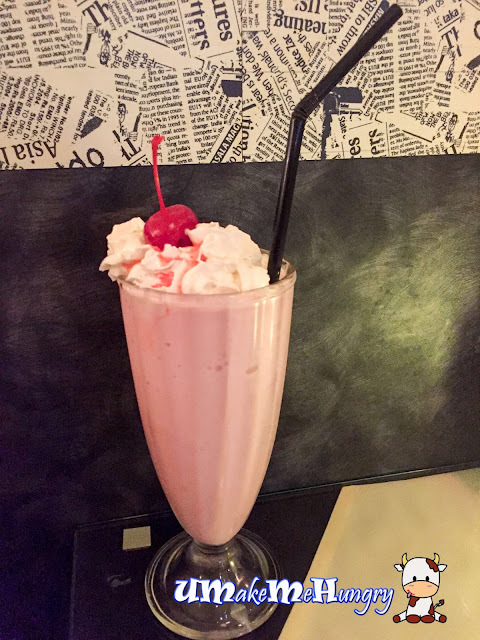 Having strawberry flavoured Milkshake was totally like having some strawberry ice cream. Totally love it. Besides, Vanilla & Strawberry, there is also chocolate flavour to choose from. In the month of October, the Germans celebrate Oktober Fest and pork kunckles is just one of the staples that is not to be missed. 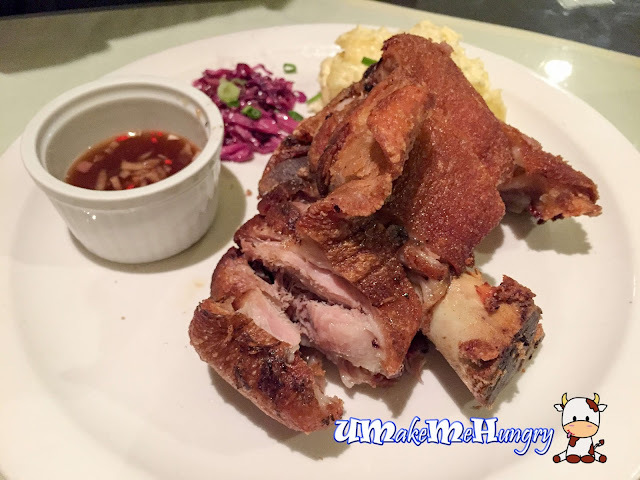 It had undergone 12 hrs of slow roast resulting in its crispiness and juicy meat. The meal comes with sides like warm potato salad with braised purple cabbages with a choice of their special home made traditional sauce or apple sauce. The portion is about 800g and good for two pax. 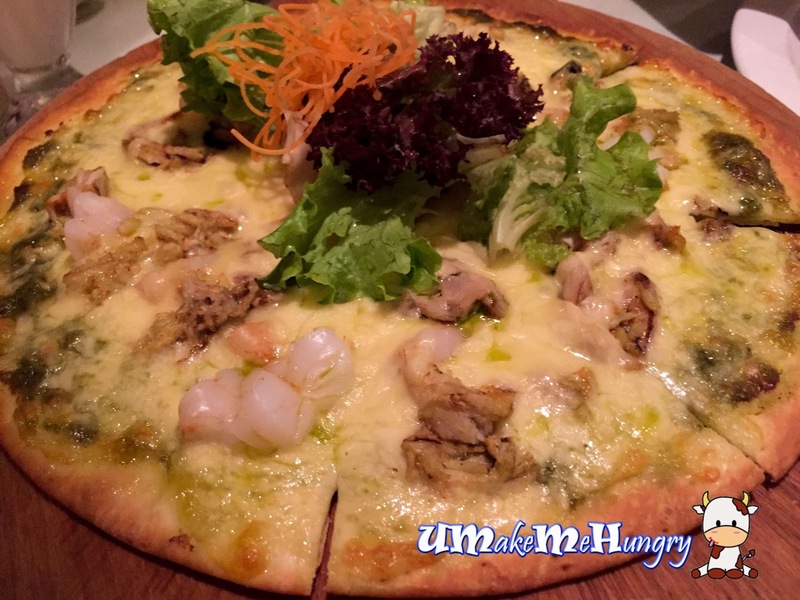 It was a pleasant surprise that the thin crust seafood Pesto pizza had exceed my expectation. Base was baked to biscuit-liked, spread with addictive cheese and pesto sauce, with mouth watering ingredients toppings like prawn, mussel, fish & crabmeat. 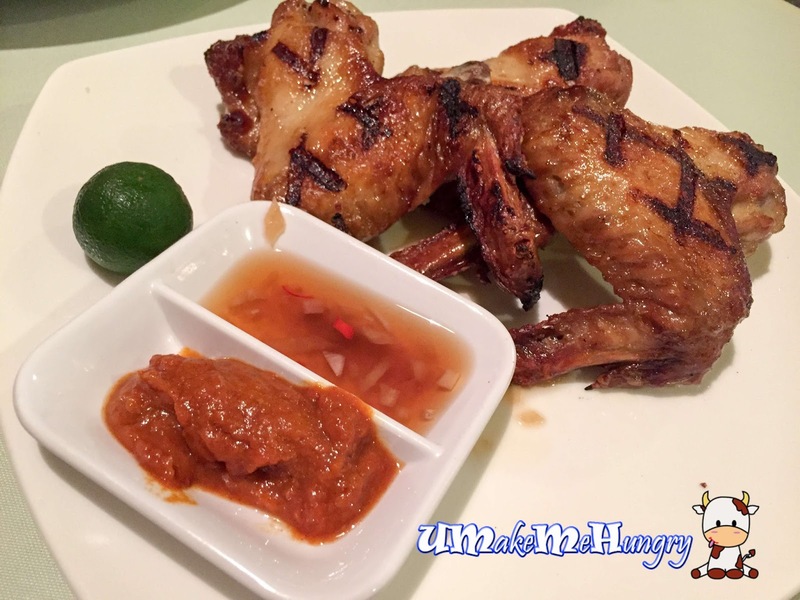 The BBQ chicken wings are their signature dish and also all time favourite paired with their home-made chilli sauce. This side makes an excellent choice to be accompanied by glasses of beer. The criss cross charred lines were simply evidence that HooHa! 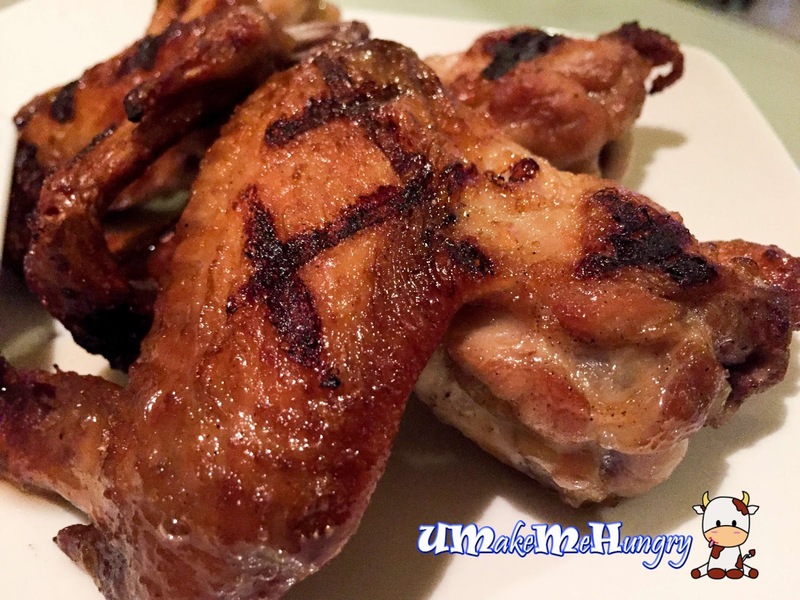 Cafe had put in lots of efforts to serve up such juicy wings that would make anyone yearn for more! For those who like sambal Balechan, the lime and its chilli are simply good enough to let you get hooked. Afterall, it was a pleasant experience I had from the cafe. I dont mind going back again for their wings and especially pizza.